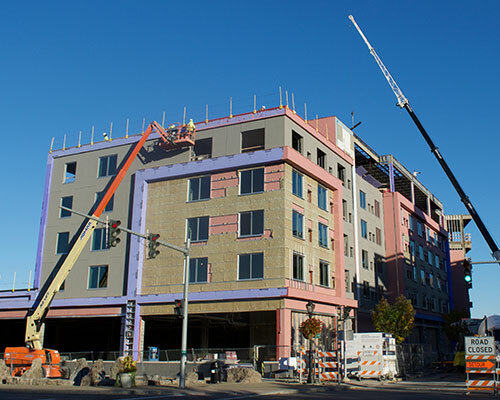 Niagara Falls, NY - With the last steel beam put into place on Oct. 20, Hamister Group’s hotel project in Niagara Falls has moved onto its next phase of construction. 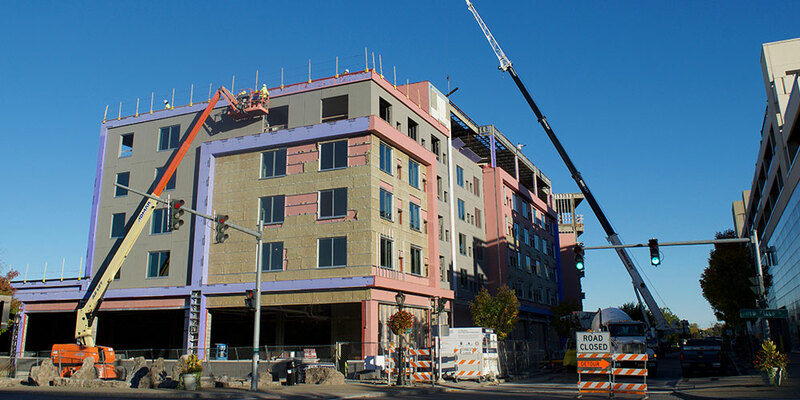 Crews are now installing the roof and working on the interior of the $35 million development. Construction remains on schedule for an opening in the first quarter of 2018. The six-floor Hyatt Place on Rainbow Boulevard will employ 35 people and feature 128 spacious, contemporary guest rooms; 6,600 square feet of meeting and banquet space on the top floor; a rooftop patio with scenic views of Niagara Falls State Park, and 7,000 square feet of retail space facing Old Falls Street. "We are excited to introduce the Hyatt Place brand to Niagara Falls," said Mark E. Hamister, chairman and CEO of Hamister Group. "The Hyatt flag is well-respected in the Pacific Rim, where we anticipate a good deal of our business will originate." "This development demonstrates our belief in Niagara Falls," said Daniel Hamister, executive vice president and Chief Investment Officer. "We are confident in the future of Niagara Falls, and that is why we committed to building and opening this hotel." R&P Oak Hill Development, LLC, is General Contractor for the project. Reservations are now being accepted at www.hyattplaceniagarafalls.com. On October 20th, the last steel beam was put into place on our new Hyatt Place in Niagara Falls, NY, and the project has moved onto its next phase of construction.